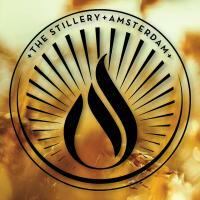 @Silk City Distillers from what kind of companies do you source your bacterial cultures. Can't seem to find descent priced cultures here in Europe. I was thinking the same. If you want to use your hydrometer you can always cool the sample down. Wouldn't it also be an option to put all your samples on, lets say, 30 degrees Celsius to measure a volume prior to distillation. And also do the topping up with H20 after distillation at 30 degrees Celsius? Thanks for the fast reply! The hole size is 1.5 mm. We crack the grains. We use both malted and unmalted grains in our mash bill at a ratio around 70:30. We do a beta glucan rest and do a protein rest as well. We don't add extra enzymes. Another option for separating grain/wort? We are also looking for separation options that are affordable, easy to work with and easy to clean. I will be following this thread closely! Some of you add a base to their low wines or final product to prevent esterification of some molecules in the liquid (which happens in an acidic environment), which should result in a smoother final product. We started to experiment by adding sodium bicarbonate to our low wines and we noticed some improvements in smoothness in our final product. Do you guys have some tips on what base to use and how long should you let the low wines rest after adding the base, or would it be best to add the base to your final product? Cheers! Thanks for all the feedback guys! We did some tests and filtering at 50% gave us the best results! Thanks for your reactions! Could someone explain me brief what the theory behind diluting first is? I'm wondering when is the best time to filter your vodka over activated charcoal? Fresh of the still at high proof, right after dilution to 40% abv with water or a few weeks after dilution?